Since the creation of the standing army in 1661, when each regiment was known by the name of its current colonel, there have been many reforms and rationalizations of the British army. From 31 cavalry regiments and 113 infantry regiments in 1881, at the time of this title’s first publication in 1988, the army had reduced to just 16 regiments of armour and 39 regiments of infantry through processes of absorption and amalgamation. 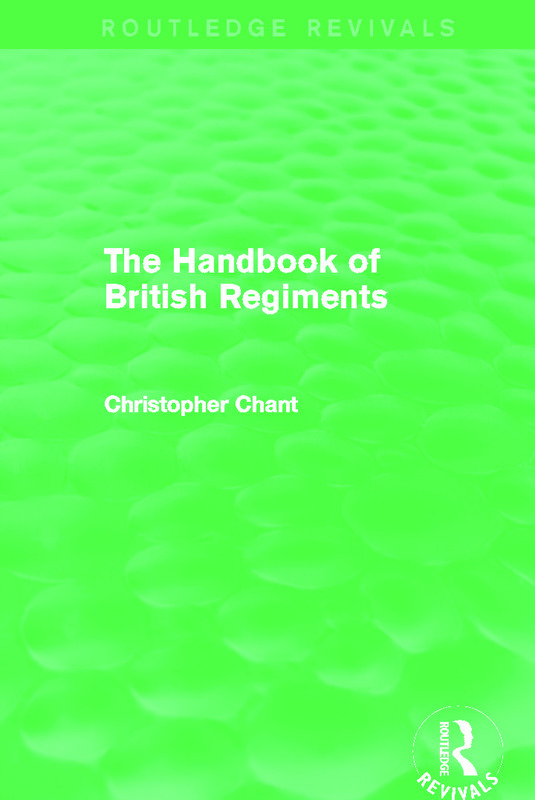 The Handbook of British Regiments provides insight into the lineage and history of the approximately 85 regiments and corps which formed the British army towards the end of the 1980s. Comprehensive in coverage, each has a separate entry giving factual details in a layout standardized for easy comparison, including current title, colonel-in-chief, uniform and history, amongst others. A key title amongst Routledge reference reissues, this handbook provides an accessible guide to specialists as well as lay enthusiasts, and illustrates a sense of the continuity and inherited tradition of each regiment and corps.